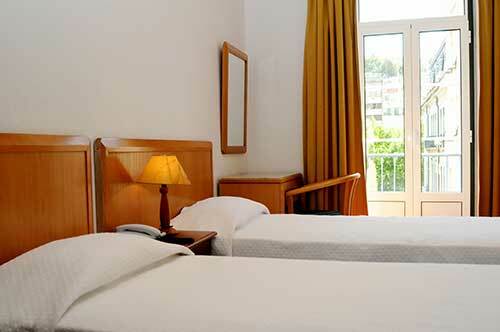 Portuense offers recently renovated and clean rooms with a friendly service at an affordable price in Lisbon's city centre. 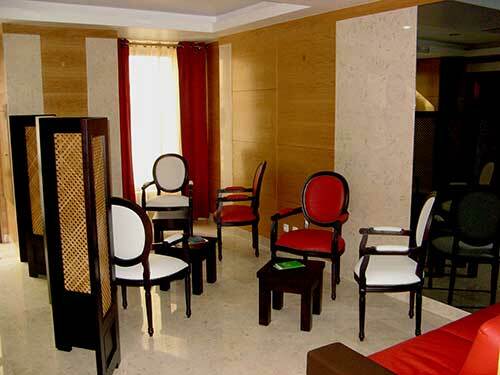 It is known for its pleasant and cosy atmosphere. 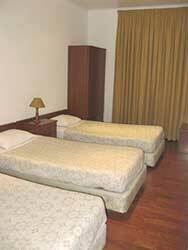 Its 36 rooms, ranging from single to quadruple rooms. have private bathrooms, air conditioning, heating, TV and telephone. 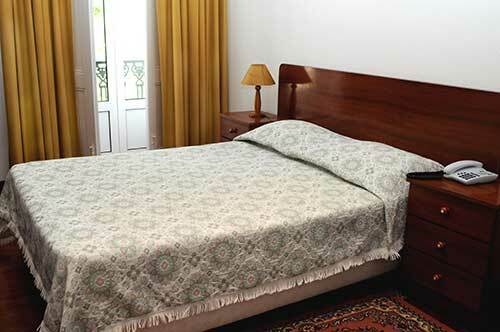 All rooms have private bathrooms, air conditioning, heating, TV and telephone. The road is replenished with a heavy mix of restaurants. One may endulge in a variety of seafood, meat or even chicken dishes accompanied by some of the best Port wines. Why not also try the famous Ginjinha? Follow the trail of this important street and you may find yourself watching a famous play at the Coliseu dos Recreios or at the Politeama Theatre. You may also encounter a French Community Chapel (Igreja São Luís dos franceses). 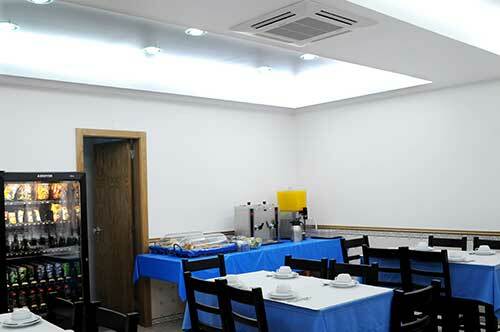 Cancellations 24 hours before the arrival date are free of charge. After that, one day penalty will be charged. Portuense is just behind the Hard Rock Café in Av. da Liberdade. If you wish to travel by bus you may catch the numbers 44, 745 or 91 if coming from the airport. Or 9, 9A or 759 if coming from the Santa Apolónia train station. You should leave the bus at the Restauradores bus stop. Alternatively, you may catch a Taxi. 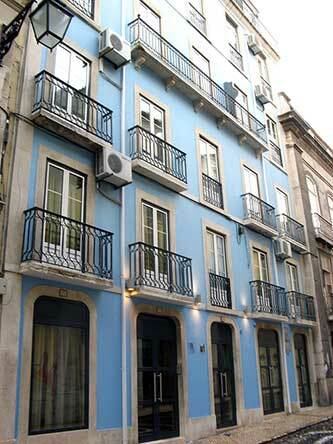 Nearest airport: We are 15 minutes away from Lisbon airport.